The California Democrat has been named to several key congressional committees, including Armed Services and Budget. Rep. Ro Khanna, D-California, has come up with a plan to open the federal government and end the ongoing crisis. The congressman has urged President Trump and both chambers of Congress to appoint outside negotiators in order to reach a budget agreement to end the impasse. “Let’s come up with six-zero proposals to get government back on track,” he told the show. But he was skeptical that Trump is willing to make any compromise. “I don’t know if the president would go for that because he hasn’t been interested in real compromise to get government back open, but it was an idea I floated,” he said. Meanwhile, on Thursday, the California Democrats’ office released a statement on Khanna’s assignments on some of the key congressional committees. He is now part of three influential House committees: Oversight and Reform, Armed Services and Budget. 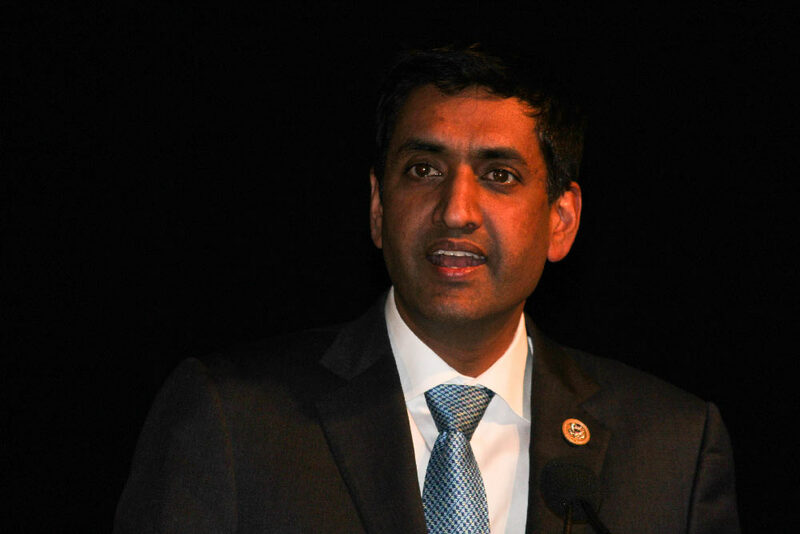 The Indian American congressman from Silicon Valley has also been named to the House Armed Services subcommittees on Intelligence and Emerging Threats, and Strategic Forces, as well as the Oversight subcommittees of Government Operations and Economic Policy. The Committee on Oversight and Reform is the primary investigative body for the US House of Representatives. It plays an important role in holding Trump administration accountable on many things including ethics and constitutional violation. The committee on Budget is responsible for drafting the annual budget resolution. House Speaker Nancy Pelosi has committed to holding hearings on Medicare for all, a cause Khanna has been actively campaigning for. As a member of the committee on Armed Services’ subcommittees on Intelligence and Emerging Threats and Strategic Forces, Khanna will continue to provide a voice of restraint in our nation’s foreign policy, the office statement said. It also said that Khanna is leading the effort in the House to end US involvement in the Yemen civil war, and cautioned against a new nuclear arms race with Russia. The congressman supports bringing technologies from Silicon Valley to the Department of Defense, the statement added.